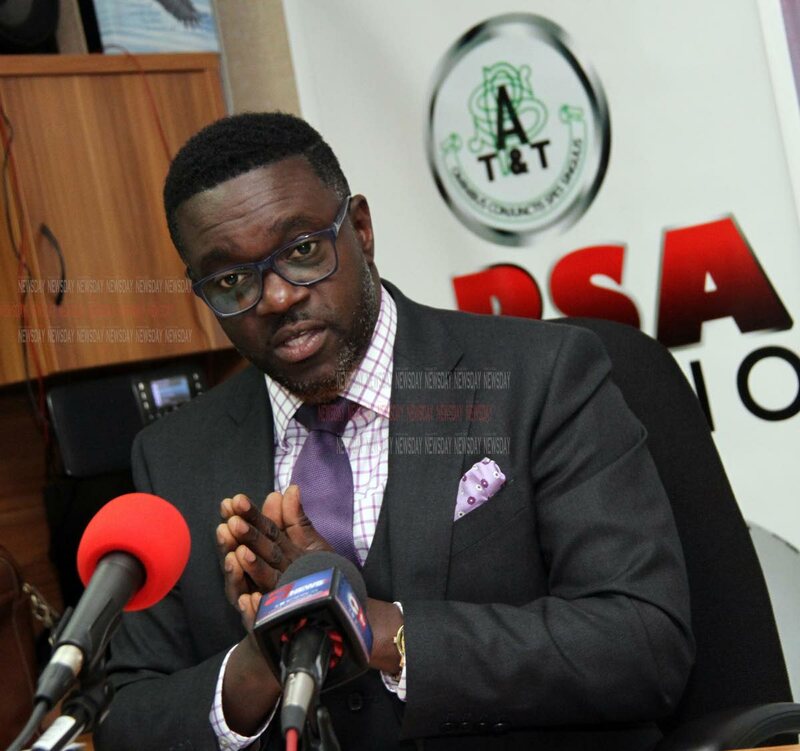 PRESIDENT of the Public Services Association (PSA) Watson Duke has defied a warning from Public Administration Minister Marlene Mc Donald, who urged workers to disregard the union’s call to rest and reflect on Friday, saying otherwise they could be fined or jailed. Mc Donald told public servants and those in the essential services in particular that “such irresponsible and injudicious action,” in sympathy with institutions in which they are not employed, is a breach of the IRA and they would be subject to fine and imprisonment. He threatened to invoke Section 42 of the Industrial Relations Act to take Mc Donaldbefore the court if she interfered with the workers’ rights. Addressing a “united labour” platform at Palms Club, San Fernando on Tuesday, alongside representatives from the Joint Trade Union Movement and the Federation of Independent Trade Unions, Duke said he believes Mc Donald may not have read or properly interpreted the law on time off. Duke said there are many forms of leave a person can apply for. One day away from work does not require a sick-leave certificate, he said, and once the worker signs the prescribed form, that worker would have accounted for his or her absence. He said Section 42 of the IRA has never been used before to bring a minister to court, but if she interferes, they would invoke it. Duke, who is also president of the National Trade Union Centre (NATUC), said the Constitution guarantees freedom of association and no employers should make it so onerous, difficult or prejudiced to engage in movements of the trade union. Reply to "Duke threatens to take Marlene to court"